World-renowned Irish-Australian-British artist John Kelly makes his U.S. debut in New York City through mid-October, bringing his stark land and seascape paintings and several small sculptures to a whole new audience. Born in 1965 to an Irish father and English mother in the U.K., his family immigrated to Australia when he was six months old and he grew up there. He moved to County Cork in the early 2000s. 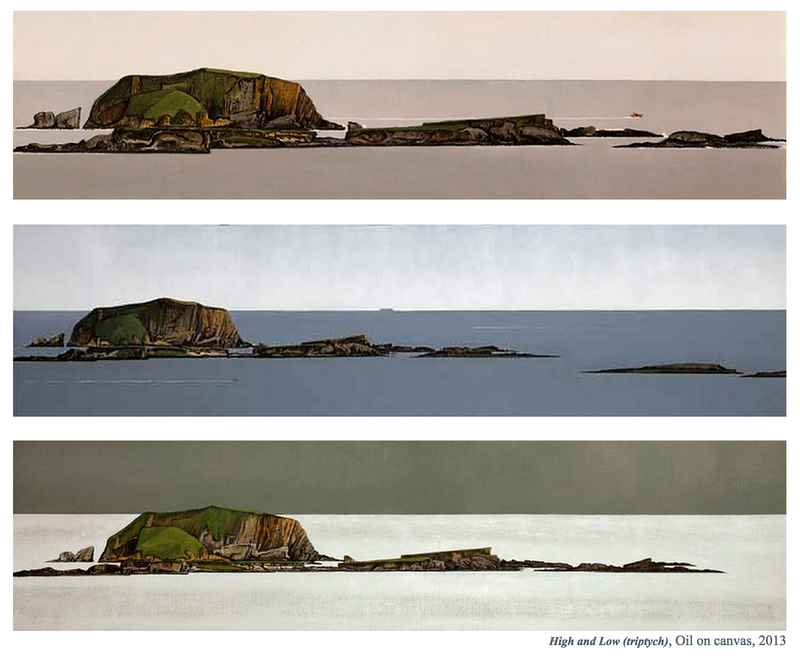 Though Kelly maintains passports for all three countries, and all three have contributed greatly to his artistic and cultural identity, the New York show, titled simply “John Kelly: Irish Landscapes,” focuses on his more recent work, inspired both by the vistas he sees daily at his picturesque home on the Reen Peninsula, and what he views as the “peculiar lack of visual representations” of the Famine in British and Irish fine art. The paintings on display were painted “in the elements,” he says, sketching and painting on a field easel propped up on a tombstone to achieve the best views he could.